Day 2 of Agile 2009, and Johanna Rothman welcomed everybody to the conference and advised that they had 1,350 participants this year from 38 countries. Furthermore, they had 1,300 submissions that they brought down to 300 presentations. 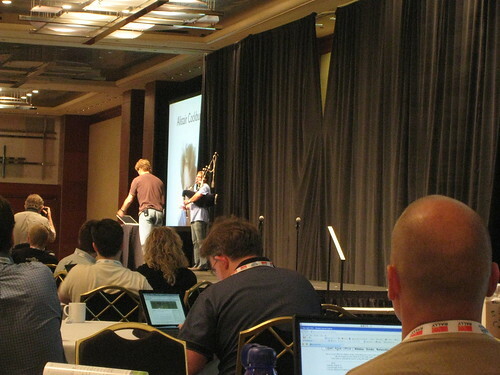 Alistair Cockburn kicked off his keynote with live bagpipes, you can view the session or download the slides. I had been recommended by numerous people to get along to this tutorial being run by Chet Hendrickson and Ron Jeffries (one of the original XP’ers and both authors of the purple Extreme Programming Installed) and I wasn’t disappointed. Round 1 – plan out the project for 6 months) – our team just put 6 columns and layed the cards out evenly (8, 8, 8, 7, 7, 7), some teams went a little light at the beginning and end, another team decided to do everything in 4 months, another team everything in 1 month! This was a workshop led by Steven “Doc” List from ThoughtWorks and involved some great playing cards that I am still hoping may get sent my way one day. UPDATE 13/10/2009: About 12 hours after posting this, a deck of cards arrived in the post at work. Many thanks Steven and ThoughtWorks for keeping your promise and sending the cards through! Can You Hear Me Now… Good! 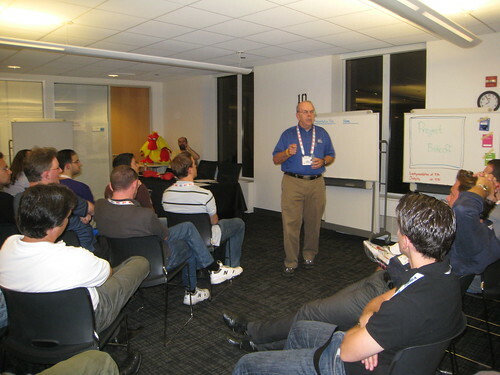 This session was on ways to deal with distributed project teams and was delivered by Mark Rickmeier. VOIP – Skype (recommended, market leader and lots of plugins), JAJAH (up and coming), Yahoo! My original plan for Tuesday night was to attend that Chicago Groovy User Group with Paul King (but I mixed up the times and did not catch Paul in the corridors), so I decided to get along to the ThoughtWorks open office instead (at their offices on the 25th floor of the Aon Center, the third tallest skyscraper in Chicago). 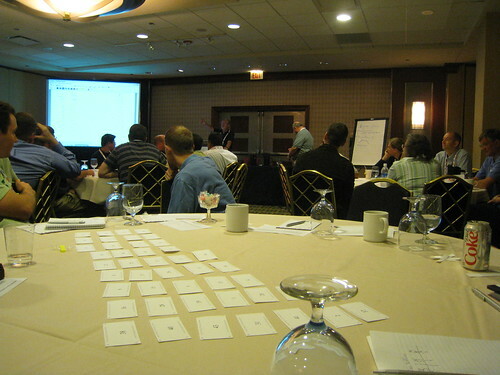 Martin Fowler and Jim Highsmith both spoke, and the Agile PMI community was launched. I got to marvel at the original Cruise Control instance that was still running after all of these years and some great conversation was had with the rest of the Australian (and ex-patriot Australian) attendees.